Fellowship Previews: Bolland, McMahon, Gibbons & O'Neill Return to 2000 AD for 2,000th Issue! Bolland, McMahon, Gibbons & O'Neill Return to 2000 AD for 2,000th Issue! 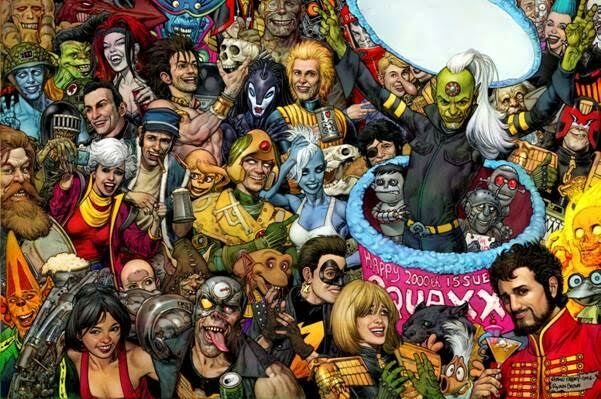 Comic book superstars Brian Bolland, Mick McMahon, Dave Gibbons, and Kevin O’Neill are set to return to the pages of the legendary 2000 AD for its 2,000th issue! 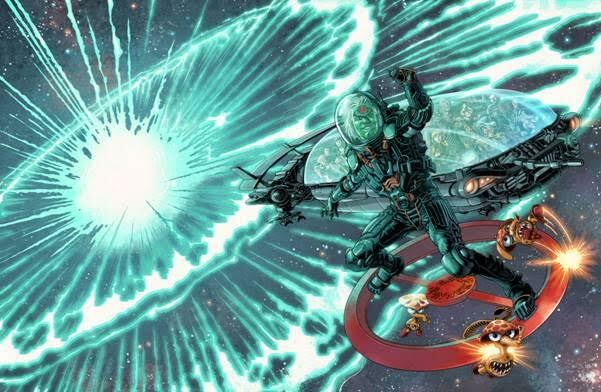 Europe’s longest running sci-fi action comic reaches its landmark 2,000th issue on 28 September and some of the most prominent creators ever to grace its pages have returned for a 48-page celebration bonanza. Bolland (Batman: The Killing Joke), McMahon (The Last American), Gibbons (Watchmen), and O’Neill (League of Extraordinary Gentlemen) are just some of the incredible talent to return – this issue will feature the first sequential comics work by Bolland for 2000 AD since 1987, as well as a brand new series by Peter Milligan (X-Statix, Hellblazer) and a poster featuring specially commissioned artwork. First hitting the racks in 1977, the cult UK sci-fi anthology title quickly became a globally influential bestseller, launching the careers of some of the industry’s most famous talents and proving instrumental in shaping contemporary comics. Prog 2000 will be available with three variant covers – newsstand customers will be able to choose between covers by Cliff Robinson and Chris Burnham, while a special Glenn Fabry wraparound cover will be exclusively available through comic book stores via Diamond Distribution. Comic book stores using Diamond will also be able to take advantage of a buy-one-get-one-free offer to double their offering for what will be a highly sought after issue. · Brand-new identity-theft thriller Counterfeit Girl by Peter Milligan and Rufus Dayglo debuts. · Plus, interlude pages from Brian Bolland, Mick McMahon, Dave Gibbons, Robin Smith, and more. 2000 AD Prog 2000 will be available from UK comic book stores and newsagents on 28 September, as well as from North American comic book stores via Diamond Distribution, and in print and digital from the 2000 AD online shop and apps.